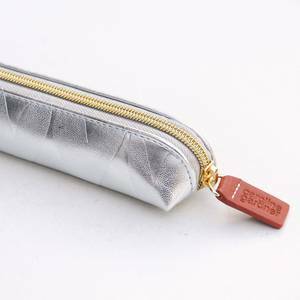 This silver metallic leather-look embossed slim pencil case is chic place to stow your stationery. It is embossed with our best selling Hearts print paired with the metallic leather look finish and gold zip it really makes a style statement for your desk. A bold monochrome stripe lining provides the finishing touch.